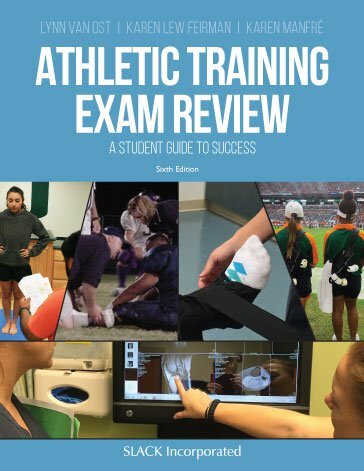 With more than 17 years of guiding students, Athletic Training Exam Review: A Student Guide to Success emerges with a new Sixth Edition to lead the way in exam preparation. Always evolving, the Sixth Edition includes a new chapter on evidence-based practice as well as 170 new clinical questions, and is updated to reflect all BOC changes. Combined with an ample supply of test questions, special tests assessment videos, and scenario-based testlets, athletic training students can approach exam day with confidence. Athletic Training Exam Review: A Student Guide to Success, Sixth Edition provides detailed reasoning behind the correct answer that will assist students in highlighting their individual strengths and weaknesses, as well as features a variety of changes that reflect current trends in academic testing, patient evaluation, and critical thinking. Combining the experiences and knowledge of Lynn Van Ost, Dr. Karen Lew Feirman, and Karen Manfré, students can expect a comprehensive review tool to aid in the study portion of their athletic training education. Faculty will welcome the addition of ancillary materials that include sample tests to be used in the classroom at www.efacultylounge.com. With the new and updated Athletic Training Exam Review: A Student Guide to Success, students can feel more confident than ever utilizing the Sixth Edition for BOC exam preparation.